Hands down, this is the best episode so far. It’s not an easy watch and you’ve been warned! Cha-don doesn’t get to see the face of the patient inside room no 7 since the person doesn’t go out of the room. However, he gets to witness how the director is threatening the patients to give up their inheritance. Madam Park’s condition gets worse with the constant coughing but the director doesn’t give her any treatment, per Se-kwang’s request. Madam Bok learns about Cha-don’s resignation and his X-Master identity from the TV and Jae-in tells her that she doesn’t want to get married with Cha-don as he’s nobody right now. Madam Bok knows that Jae-in is actually sad because of Cha-don and wants to know his whereabouts. The patients get to go out of their cell for lunch, but Cha-don can’t find Madam Park among the patients since she’s sick and have to stay inside the room. He tries to engage in conversation with the patients but they are too scared to do anything and ignore him. He doesn’t have any other choice and causes a ruckus to have himself sent to the special treatment place. The treatment turns out to be a series of electric shock given to the patients in order for them to give up on their wealth. Cha-don tries to resist the pain but fails to do so. His scream is heard throughout the basement and he suddenly starts talking randomly about Kang-seok. Madam Park hears it and remembers that those were the words she told Cha-don when they first met. She now knows that Cha-don is there among the patients. Officer Yang manages to go to the basement despite his nervousness and records the condition of the patients while he’s collecting the trash. He gets to enter Madam Park’s room but he can’t remember who she is. He sees Cha-don being carried back into his room, almost unconscious but can’t do anything to help him. Cha-don mulls about the things people would do for money and laughs at himself for being not so different from those lowly people. Ji-hoo goes to meet the people on the call list, one of them being the director of the orphanage where Cha-don used to live at. She gets to know that Attorney Hwang went to the orphanage and looked at Cha-don’s picture when he was young. She goes back to the office and receives the info about the disposable phone that is suddenly turned on. Se-kwang overhears the info and goes to follow Ji-hoo secretly as she tries to locate the phone. She manages to catch the person with the phone but it turns out that the man picked up the phone after it’s thrown away by someone. She decides to pursue the seller of the phone to find the next clue for the case. The director is coming down to the basement for another visit and Cha-don waits nervously for the room no 7 occupant to show himself. Madam Park gathers her strength and walks out of the room. Cha-don finally gets to confirm that Madam Park is indeed the one staying in that room and they try to communicate. However, it’s not an easy job as they’re all being monitored by the nurses. Madam Park tries to pass the picture of Kang-seok to Cha-don but fails to do so. Officer Yang makes another trip to the basement and manages to talk with Madam Park as Cha-don distracts the nurses from them. She gives Officer Yang the picture of Kang-seok and he puts it inside the trash can in Cha-don’s room, but too bad, Cha-don is restrained because of his act earlier. He gets released after some time and retrieves the picture from the can. Cha-don is surprised to see himself in the picture but no matter how hard he think about it, he can’t remember anything about his past. He decides it’s time for him to get out of the place and gives his agreement to sign the document on the inheritance. The director warns him not to sue them for what he experienced there as it will be useless without any evidence. 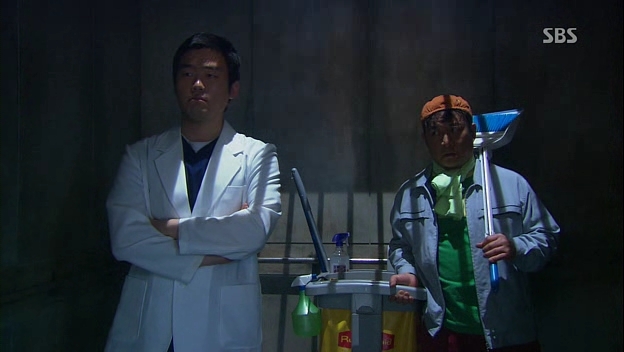 Cha-don loses his temper and the director brings him to the treatment room for another round of shock torture. Through the microphone, he tells Madam Park that he had found her son Kang-seok and promises to come to her rescue. She cries tears of joy as Cha-don is being tortured with the shock. He suddenly remember several happenings from his past from the great pain he experiences. 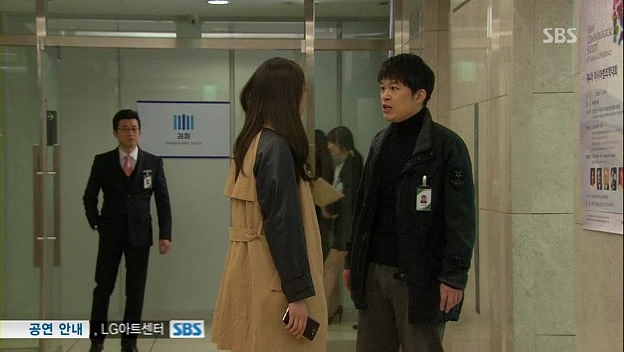 Reporter Go and Bi-ryung arrange a meeting with Prosecutor Kwon to tell him about the money found at the site. Both of them think the money is still theirs and wants Prosecutor Kwon to persuade Se-kwang into joining their plan. Prosecutor Kwon extends the proposal to Se-kwang but Se-kwang refuses to join; instead, he starts to suspect that Prosecutor Kwon might be involved in the murder of Attorney Hwang. Ji-hoo manages to track down the phone’s seller and obtains the next clue, which is the plate number of the phone buyer. Bi-ryung goes to meet Jae-in but she recognizes her as the one who argued with her during the facial treatment. They almost fight again but she soon learns that Jae-in is the one she needs to foster good relationship with in order for her to buy the share. Jae-in realizes that Bi-ryung is the ‘angel’ superior who made her restaurant flourish in business. Bi-ryung seems to be able to befriend Jae-in and invites her to her launching show. Madam Bok, on the other hand, finds Cha-don’s new office but no one is there. She sighs, thinking that he’s hitting rock bottom but Madam Bok wants to keep an eye on him for the sake of the money she invested on him and also Jae-in. Cha-don gets released from the asylum and sends the recorded video to Chief Jo. Chief Jo is amazed that he’s willing to go to place like that for his client’s sake, but all he can think of is about his lost memory. The asylum is raided and the director is caught after getting several punches from Cha-don. Cha-don runs straight to the basement to find Madam Park but before he can explain anything, she passes out. He brings her to the hospital and finds out that she’s suffering from pneumonia. He waits patiently for her to regain her consciousness. Madam Park wakes up and she sees the young Kang-seok sleeping beside her bed. She reaches out her hand to touch her face but soon realizes that it’s actually Cha-don. He stirs from his sleep and feels relieved to see her awake. He tells her about the accident he had when he was young and how he doesn’t have any memories about his past, but the feelings stayed with him. She knows that he’s the son she’s looking for and they embrace each other after 15 years of separation. I really, really love this episode to bits. The more an episode gives me heart attacks, the more I’ll come to love it. Cha-don and Madam Park’s scenes are those that made me grit my teeth and cry, hoping that they would get to know the truth as soon as possible. Those torture scenes weren’t easy to watch and it reminded me of Gaksital’s days. It’s painful and I won’t watch it for the second time. I had to turn off the volume because I couldn’t stand the scream. It’s too painful. I am glad to see the baddies jumping into the dirty work again. Because it’s not fun to see them all kind and noble while they’re actually greedy and rotten inside. It’s just a matter of time until Se-kwang joins the force and he’s like the leader of the pack, so he needs to be bad in order for Cha-don to plan a perfect revenge for all of them. The bad guys deserve to be punished, but if the punishment is carried out unfairly, then the one who gives the punishment will be the next bad guy. That’s the case with Se-kwang. Next Post Two Years…and Beyond? Wasn’t easy to watch but it was so good, I watched it twice! Hands down the best and I’m so glad it was done earlier. Please, writer-nims, the Mom has gone through enough!! And who is the unknown assailant!!?? I think it’s someone else! I hope that the mom won’t suffer anymore…now it’s time for Kang-seok to take over and bear the grudge towards the baddies. Revenge mode is on! Yeay!